Yvette Angela and Deneita Evans are the founders of UNCDTNL, a dynamic two-woman collective that actively supports rising hip hop and R&B artists. Their aim is to provide opportunities for aspiring women of colour working in the music industry. With a new initiative UNCDTNL kicked off in March, women of colour can access opportunities to gain work experience and education in a competitive industry that does not typically favour job creation. Plus, the project offers support, advice and mentorship in an industry that can be hard to navigate without a large network. 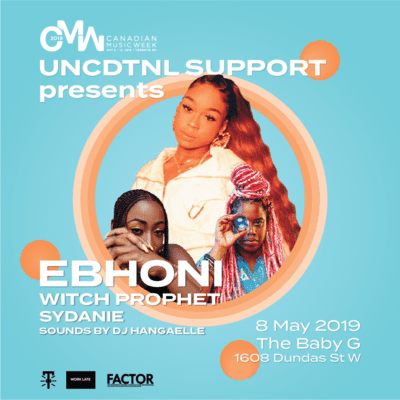 It culminates in a performance on Wednesday, May 8 at The Baby G (1608 Dundas St W) featuring Ebhoni, Witch Prophet and Sydanie. We chatted with Yvette and Deneita this week. SDTC: Walk us through what the program is all about. Y&D: We started the process by getting to know one another, what skills everyone wanted to gain from this experience, as well as where they could best contribute. Most importantly, we wanted to know what each individual wanted to learn. From there, we were able to assign everyone certain tasks to complete. For example, if it related to publicity, we’d get our mentor who specialized in that field to look it over and give feedback. As we get closer to the date, our tasks change and evolve, so to stay on top of everything, we have weekly or bi-weekly meetings to make sure we’re all on the same page. With decision-making, we would share the options and get everyone’s feedback, and from there make a decision. We will also have major meetings where specific mentors will meet up with the whole group to go over topics like content creation, sponsorship, social media, production and more, so with that, everyone gets to learn something they didn’t know prior to [the meeting]. Later this month we will hold several info session days where the mentors will share their experience, job skills and tips. 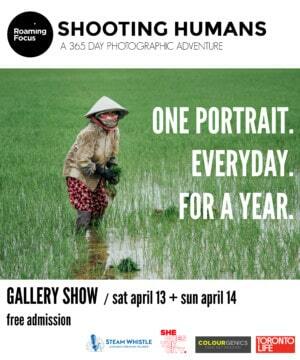 This all leads up to the day of show, where the team will handle different elements of production. When did you realize that creating a mentorship opportunity was the best way to help young artists get a foot in the door? We both realized mentorship opportunities were the best way [to help young artists] when we started working in the industry as volunteers. The creatives we worked with became our mentors. We really got into helping young artists while working with Manifesto. To this day, we keep in touch with most of our volunteers, even helping them out with starting projects of their own. Also, we stress the “no hierarchy” rule: Just because we may have more experience, at the end of the day, we are all learning as we go. It’s important to let young artists know they have people rooting for them; it gives them the courage to kick down the door. How important were mentors in your own careers? Extremely important. I, Yvette, had my brother as my first real mentor. He is also a creative, so I always look to him for guidance regarding my career. But volunteering steered us the right way. Manifesto was a huge part of that. The team continuously helped us get our foot in the door before we were hired as volunteer coordinators. To have experienced creatives be on the same team, and enough to hire us and continuously work with us, has been a blessing. It makes the journey easier—with genuine guidance. What’s in the future for this program? Can anyone apply? As the first installment, we focused on collaborating with other aspiring industry professionals to book a showcase with artists that we love in the city. Moving forward, we intend on expanding this initiative to welcome a number of applications so they too can get hands-on experience. We hope that this program can be expanded. Our experience as volunteer coordinators has made us inclined to want to help those who may not know everything just yet. We hope all participants walk away with more experience and confidence with their future projects. We want to establish a fair pay rate for the valued work that we and our team do. 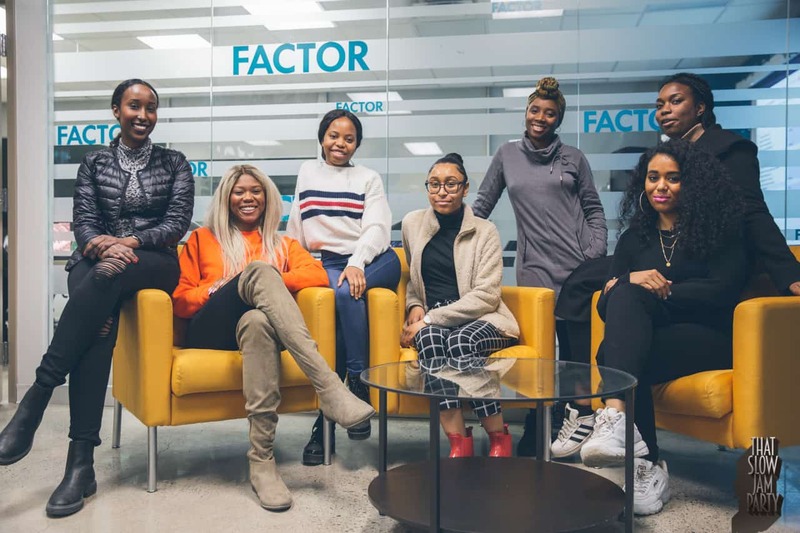 Most importantly, we want to create a strong network that will help expand the roles for women of colour, black creatives, visible minorities and more in the music and event industry.